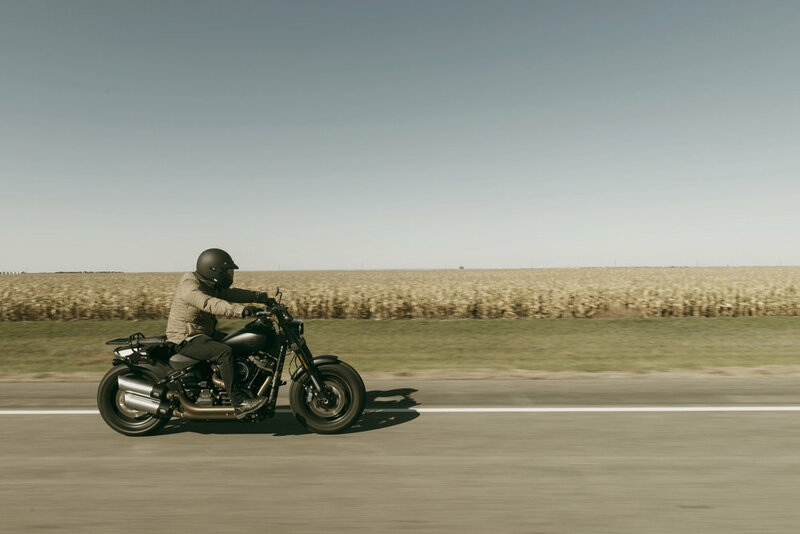 Early into October I was invited to spend a few days riding through South Dakota with Matt King the Editor of HOG Magazine and a group of veterans from around the state. 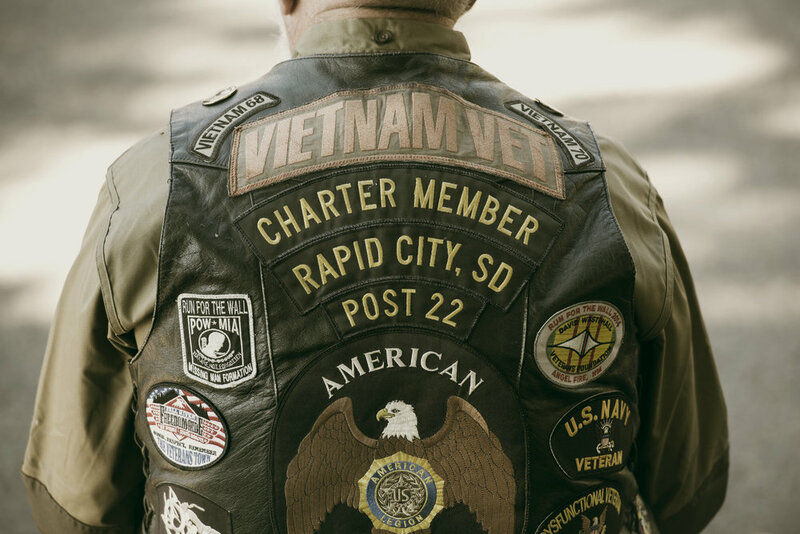 This was my first time visiting South Dakota and I had never ridden with veterans, so needless to say I was looking forward to the new experiences and made my way to Rapid City alongside renowned photographer Michael Lichter. Harley Davidson had been working on a special project in recognition of the Navy’s unveiling of a state of the art Virginia class fast attack nuclear submarine, the USS SOUTH DAKOTA (SSN 790). A 2018 Street Glide was donated by the Harley-Davidson Motor Company to help celebrate the state’s new U.S. Navy submarine and to pay homage to South Dakota’s motorcycle heritage. The bike will live in Sturgis and be available to use by any USS SOUTH DAKOTA crew member over the thirty year lifespan of the submarine. Custom paint was done by artist Mickey Harris and honors Battleship SOUTH DAKOTA (BB 57) and commemorates the new Submarine SOUTH DAKOTA (SSN 790). A flag ceremony lead by retired U.S. Navy Commander Wiley Cress of Rapid City took place in Sturgis at the Harley Davidson Rally Point and kicked off a ride unlike any I had ever been on before. Our group would help transport the flag across South Dakota with stops in Pierre, Aberdeen, Groton, and Sioux Falls where we would raise the flag in each town. The opportunity to ride alongside these men and women is something I will always be grateful for, I felt a strong sense of purpose, pride, and admiration as we rolled through the town of Sturgis and the community showed their respect to the parade of veterans. I also felt like a kid in candy store riding the 2018 Fat Bob 107 with three days of wide open spaces seat time ahead and a Milwaukee-Eight 107 Big Twin power plant underneath me. Our group was about sixty strong and although I was a stranger within this close-nit brotherhood it only a took a few minutes to feel right at home. Come to find out that is the South Dakota way. Although large in mass the state has a total population of only 800,000 and the end result is that people treat each other like family or neighbors. This is something I have not fully experienced before and it helped me to restore some faith in humanity. The miles started to unwind underneath a welcoming blue sky and sea of fall colors. I was able to drift away, let my helmet do its magic and escape into a day I will cherish for years to come. We were headed east and our last stop of the day would be at Carls Cycle Supply in Aberdeen to visit with Carl Olsen and his son Matt. The Olsen’s are considered to be amongst the finest in business when it comes to Knucklehead and Panhead restoration and have made it a passionate family affair at their quaint home based shop. Carl founded the business in 1982 and his son Matt who grew up in the shop has a long list of accomplishments including; the Smitty award at Davenport, the first ever AMCA Youth Coordinator, and the 2012 Born Free Best of Show honors. Upon our arrival, I was simply overwhelmed by a combination of genuine hospitality and a first hand look at a collection of incredibly beautiful restoration projects. History and heritage spilled out of every nook and cranny as I was experiencing something incredibly special and somewhat surreal. Matt seemed equally as interested in my bike and the the Heritage Classic that Matt King was riding and in a matter of minutes a friendship was born. As we shared a meal that evening with the Olsen’s plans to pair the Heritage Classic with a 1936 Knucklehead for a morning ride came to life. 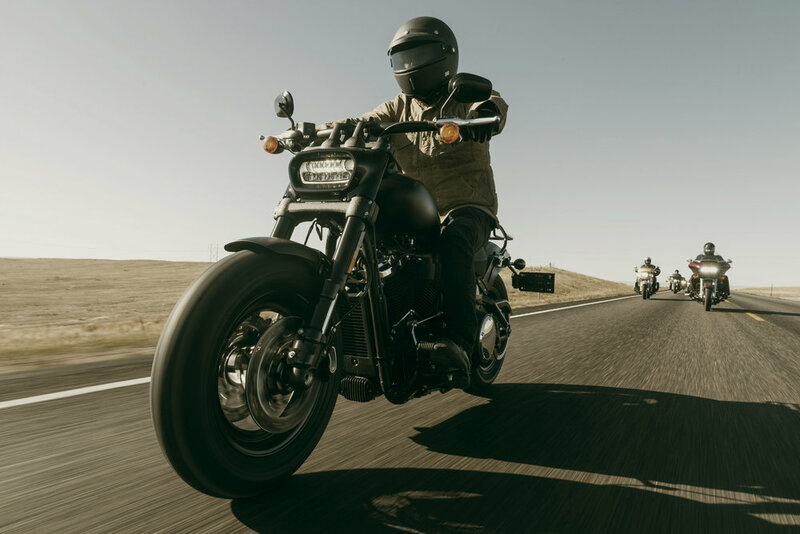 Harley had done an amazing job taking inspiration form the past with influence found through Heritage Classic styling and we wanted to capture the likeness that spans over eight decades. Morning was soon upon us and we made our way to small town of Groton to raise the flag. Seeing that the submarine is being christened in Groton, CT we felt it was it was a must to raise the flag in Groton, SD. We then headed back to the Olsen’s for a photo shoot with the past and present. Later in the day Carl asked me if I would like to ride one of his private collection bikes. I was grateful, but said no thank you and he laughed at me and then explained that its rare for people to say yes as they get easily intimidated by the classics. It’s a scary deal riding a bike that of that value and historic importance. Throw in fact that I had never ridden with a suicide shifter and I was a ball of nerves to say the least. Carl did not allow me to say no and before I knew it he was giving me lessons in the back field and then sending me down an unforgettable road on a 1948 Panhead. I felt beyond fortunate and rightfully so and can’t thank the Olsen’s enough for sharing their world with me. Sioux Falls was our next and final stop as we burned miles into the night. J&L Harley Davidson hosted the unveiling of the USS SOUTH DAKOTA (SSN 790) Commemorative 2018 Harley-Davidson Street Glide in front of our group of veteran riders, artist Mickey Harris, locals, news teams, and South Dakota Congresswoman Kristi Noem. The U.S Flag was then placed in the saddlebag of the bike before it was transported to Groton, Connecticut in time for the christening of the SOUTH DAKOTA (SSN 790) Submarine on October 14th. All good things come to an end and it was now time to head home. I said goodbye to countless new friends and although a little sad to go, I found myself eager to hurry back and honored to be part of such a remarkable experience amongst great people. I would like to close by thanking Harley Davidson for the experience and to also thank all of our military personnel for the sacrifices you have made for our freedom.